We have recently started utilizing laser cutting in our projects. One project, in particular, has just recently been accepted into Luminaria 2015, which is a city wide arts festival. In addition to Luminaria, we have also been accepted into the SA Mini Maker Faire, which is another event based on hacker, technologists and innovators! Our ball is finally rolling, and we are very excited to finally be able to showcase our work to hundreds of thousands of people. Over the years, each member has volunteered to make-up this collective and have poured personal funds and time into several projects in the past. 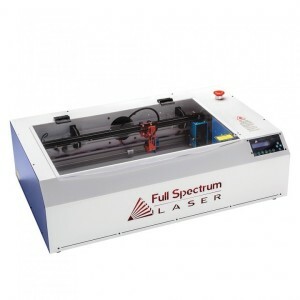 Just recently we helped raise over $12,000 to purchase a laser cutter for our hackerspace, 10Bit Works. We have a unique never-before-seen project up our sleeves that the city is excited about. For Tortillas & Technology, member artist Andrew Valdez explores the relationship between technology, culture and art by combining a non-­traditional canvas with state ­of­ the ­art technology. The Collective invites the audience to an innovative one­-stop print station, where they may upload digital photos, and have them “printed” on a tortilla. We plan to showcase the laser cutter doing some work in a “photo booth style one-stop-shop station” in the heart of the festival. But in order to pull this project off, we would need a Full Spectrum H-Series 5th Gen CO2 Desktop Laser, exhaust fan, air compressor, and water chiller. In addition to this project, thanks to the portability of the H-series cutter, we are considering offering training for educational institutions for free around the city. We stand for educating our community through innovation. With all of our great success, comes a high cost for production and materials. Unfortunately we are currently in a tight situation when it comes to funding our art installation for the festival and makerfaire. We would greatly appreciate any help by providing any publicity, awareness or donations. 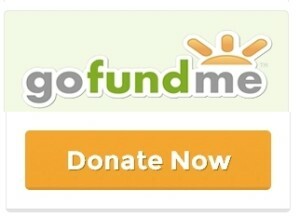 Here is a GoFundMe where anyone can help donate! In the past few years, we have helped San Antonio shine the light on laser cutting, 3D printing and other cutting edge technologies. – Make Stuff, Take Risks and Be Awesome.